iPhone scanner app for iPhone 6 and 6+: The Fastest Yet? Check out the latest barcode scanner app for iPhone! The latest iPhone models are here. So is the latest scanner app for iPhone! What’s new? 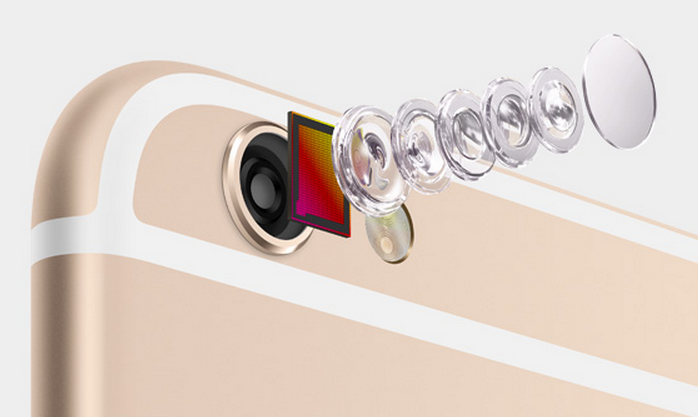 Apple’s ‘focus pixels’ technology for iPhone 6 and 6 Plus uses on-sensor phase-detect autofocus! This is a significant upgrade from the contrast-detect autofocus in the previous models. According to Apple, this technology will make the focusing for an iPhone scanner app almost twice as fast as the iPhone 5s. The iPhone 6 Plus also features optical image stabilization for it. This means the lens can physically move to compensate for hand movement. This is expected to help for low light conditions. Naturally, this is an important benefit for most of our clients. We suspect it will also improve how fast the camera focuses. Why is this important for barcode scanning? The key is fast focusing. Once in focus, SD PRO can read barcodes in tens of milliseconds. Will our scanner app for iPhone 6 and 6 Plus make barcode scanning even faster? It seems so. We are very anxious to test these devices and already have them on order! Keep your eye on this blog post as we will be reporting test results in the coming weeks (the 6 Plus won’t arrive until mid-October). If you prefer to have the results emailed to you directly please contact us. Note: When deploying codeREADr for enterprise applications, iOS and Android devices each have specific advantages – some relating to device performance, others to business considerations. If you are not sure which OS to choose, let us know and we can help you choose based on your business needs. We tested our scanner app for iPhone 6 and iPhone 6+ yesterday. While both devices scanned faster than earlier iPhone, iPad and iPod devices, the actual focus times and decoding times were not markedly improved – at least not yet. We may need to make some adjustments to the scan engine’s settings. However, the time to process those scans locally (on-device) and to connect with our cloud based servers were both noticeably faster. Based on that, we would highly recommend these devices.